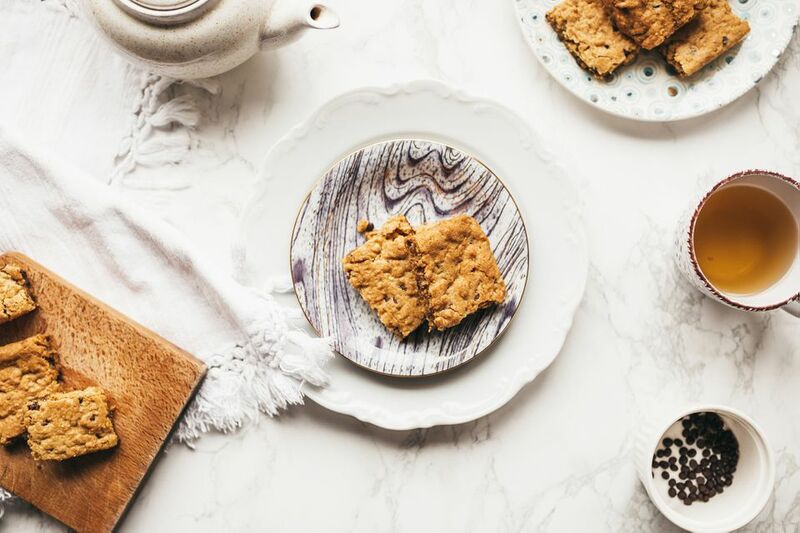 These blonde brownies—also known as blondies—are a traditional family favorite, made with brown sugar, chocolate chips, and chopped walnuts. Feel free to omit the walnuts and add some extra chocolate chips, if you like. You may use pecans in the brownies as well. White chocolate chips or butterscotch chips can be substituted for the chocolate chips. A blondie is a bar cookie that is based on brown sugar. They contain no chocolate or chocolate flavoring, other than optional chocolate chips among other optional add-ins including coconut and chopped nuts. Typically they are left unfrosted but sometimes feature a dusting of confectioners' sugar. A brownie is a bar cookie made with cocoa powder or melted chocolate, and often includes chopped nuts and sometimes is topped with a chocolate frosting. Preheat the oven to 350 F. Grease and flour a 7x11-inch baking pan. Add the egg and beat in until well combined. In a separate medium bowl, whisk together flour, baking powder, baking soda, and salt. Add to creamed mixture incorporating until well combined. Bake 20 to 25 minutes. These brown very quickly, so be sure to start checking at the 20-minute mark.